Giant pandas could one day fuel cars and advance the development of bio-fuels — owing to microbes found in their faeces. Giant pandas Ya Ya and Le Le in the Memphis Zoo are making contributions toward shifting production of bio-fuels away from corn and other food crops and towards corn cobs, stalks and other non-food plant material . "We have discovered microbes in panda feces might actually be a solution to the search for sustainable new sources of energy," said Ashli Brown, who heads the study. Brown and her students at Mississippi State University have identified over 40 microbes living in the guts of giant pandas that could make bio-fuel production from plant waste easier and cheaper. 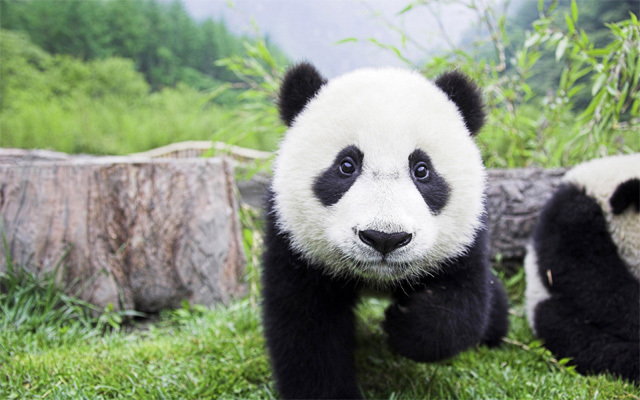 Pandas digest bamboo and have a short digestive tract. "The time from eating to defecation is comparatively short in the panda, so their microbes have to be very efficient to get nutritional value out of the bamboo. And efficiency is key to biofuel production," he said.